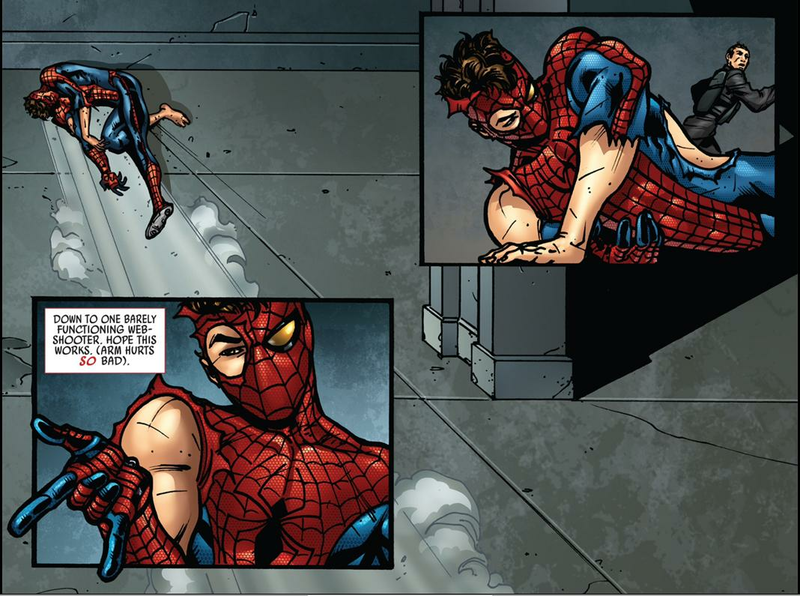 Why Spider-Man changes his costume in The Amazing Spider-Man 2. 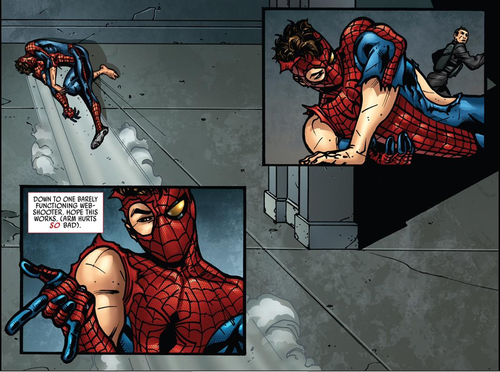 He ripped his original suit!. HD Wallpaper and background images in the Spider-Man club tagged: photo the amazing spider-man 2 comic costume alternate 2014. He ripped his original suit! This Spider-Man photo contains anime, banda desenhada, manga, desenhos animados, mangá, and quadrinhos. There might also be vitral.